The stones in this bracelet create a powerful shield for negative energy. Perfect for empaths and to protect against psychic attack. 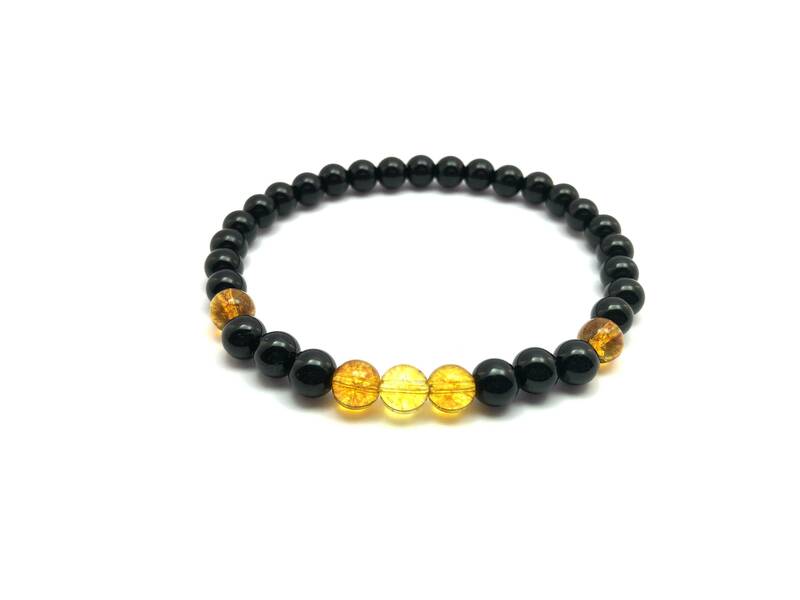 Use this bracelet to keep your own energy shielded from that of others and for setting intentions of protection against low vibrational energy. Citrine has been added so you can also protect your luck and wealth as well as your creativity and your business endeavours.